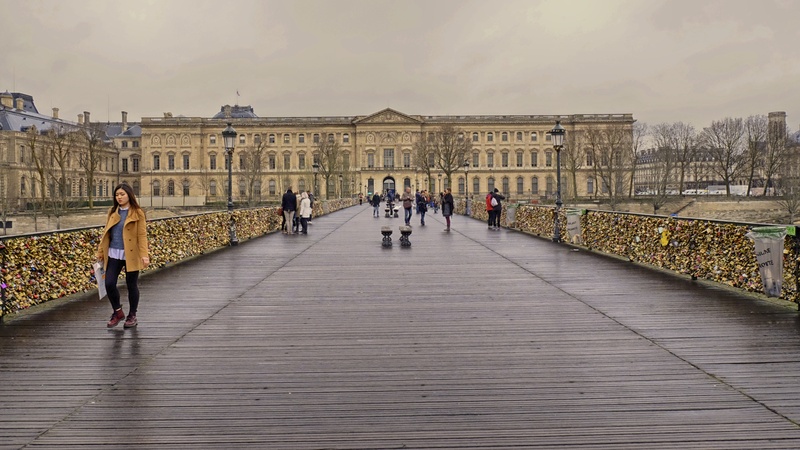 Paris, the city of love has many romantic spots from the Luxembourg Gardens to the Île Saint Louis on the Seine. 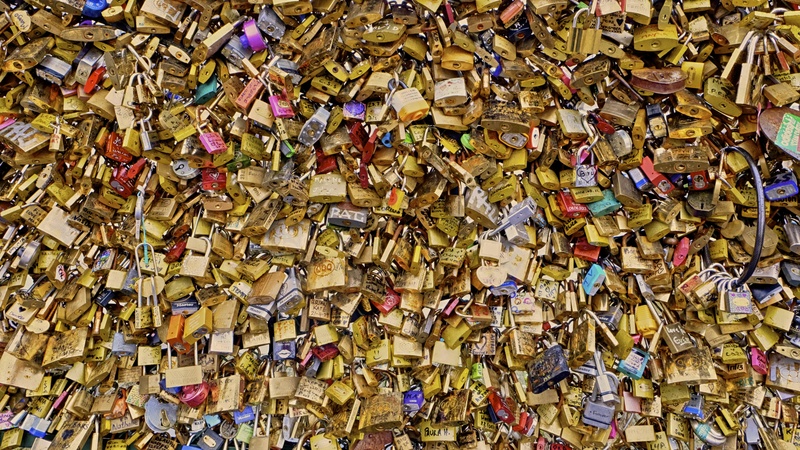 But there is one spot in particular which lovers go to lock their promises to each other is Pont des Arts. 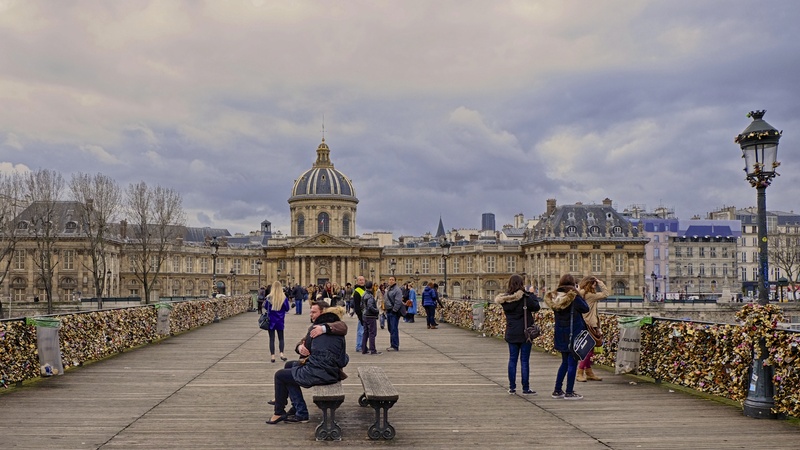 Many tourist couples have taken to attaching padlocks with their first names written or engraved on it to the railing or the grate on the side of the bridge, then throwing the key into the Seine river below, as a romantic gesture. Throwing key to the river is illegal now a days and you can see police patrolling the bridge to stop couple form doing so.